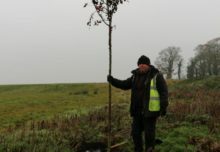 With just over two months to go before PATS Sandown 2019 opens its doors, preparations are well advanced for what promises to be another successful show for both exhibitors and visitors. It will be the first time the exhibition takes place on a Sunday and Monday in February, and visitors can expect to see an impressive showcase of new products for 2019. More than 130 exhibitors will be keen to unveil their latest creations when the event opens on February 10. As well as being displayed on a vast array of exhibitor stands in the Surrey and Esher Halls at Sandown Park during the two-day show, hundreds of items have been entered into the New Products Showcase, which has become one of the most-visited areas at PATS. 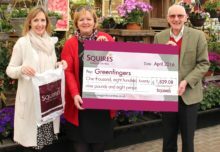 The Showcase, sponsored by pbwnews, is a great way for visitors to see and touch the new products, making it the ideal place to view the things they’ll want to stock in their store next year. Once visitors have seen what they like in the Showcase they then have the opportunity of visiting the stands of the manufacturers or suppliers of those products to discuss them in more detail. There will be an information card beside each product, giving details, such as suggested retail price and where in the show the item’s exhibitor can be found. All entries in the Showcase will be judged by a panel of retailers for the New Product Awards on the first morning of the show. The results will be known and highlighted throughout the Surrey and Esher Halls for the rest of the exhibition. As well as viewing all the latest 2019 launches, visitors will also have the opportunity to take advantage of an impressive number of show offers, and discover some trade secrets from leading figures in the pet and grooming industries. 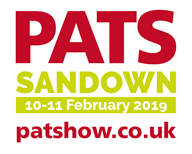 “There has been a tremendous amount of work going on behind the scenes to make sure that PATS Sandown delivers in terms of offering the widest range of exhibitors, new products, seminars from experts and grooming demonstrations…all under one roof,” said organiser Annie Foord. For a full list see the PATS website www.patshow.co.uk, where you can also register for free entry to the show.